/INS. 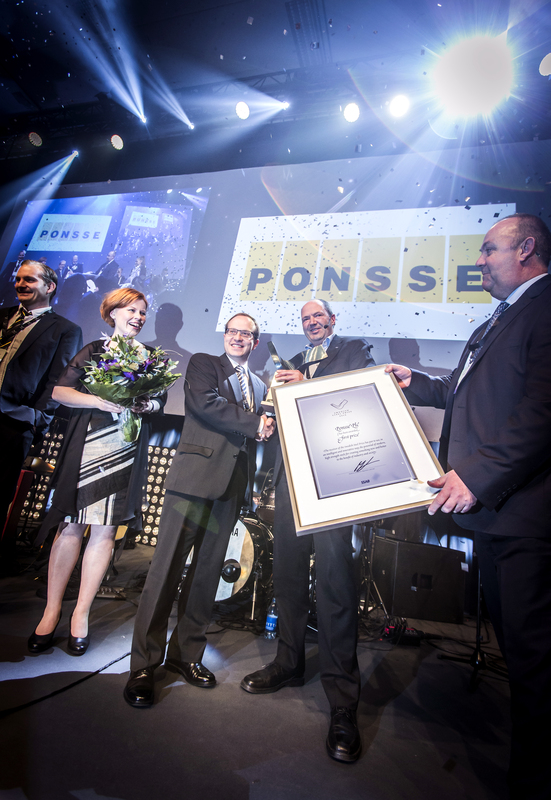 This year’s winner of the international Swedish Steel Prize is Ponsse from Finland. The prize is awarded for the company’s new generation of forest harvester, the Scorpion. Ponsse has with high-strength steel realized a revolutionary design which improves both performance and comfort. “Ponsse has not only significantly improved operator ergonomics, but also enhanced functionality and safety, and increased productivity with this new design,” says Gregoire Parenty, chairman of the jury and Executive Vice President and Head of Market Development SSAB. For decades forest harvesting machines have remained pretty much the same. They have traditional designs that focus on function and not on operation. 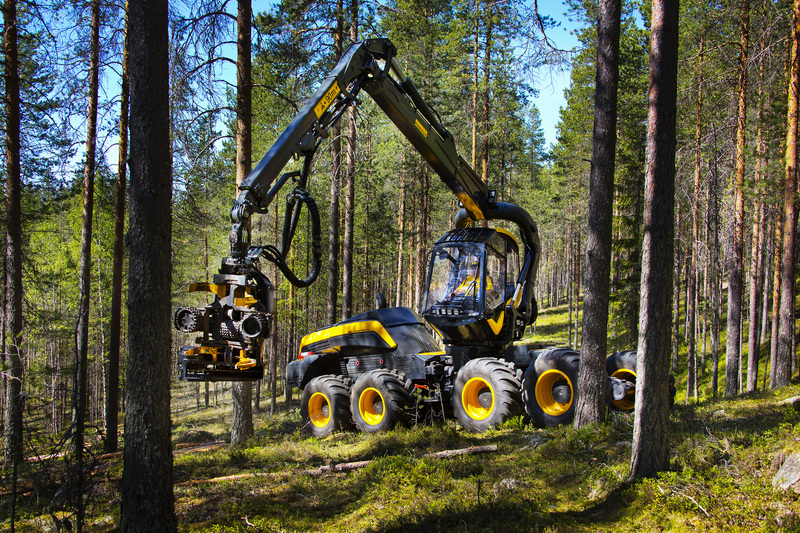 The Finnish company Ponsse decided that by building a new harvester around the operator, with a focus on ergonomic, they could improve both performance and comfort. The Ponsse Scorpion features a symmetrical crane boom where the operator sits in the center point of all movements. If offers the operator total visibility and the ability to work comfortably and efficiently. By using Strenx 700 MC Plus high-strength steel in the crane arms, Strenx 700 in the chassis and Hardox 450 in the cutter head, the Scorpion has a lower overall weight which helps manoeuvrability in rough terrain. Furthermore, fuel consumption has been reduced and boom movements are faster. The Swedish Steel Prize was awarded for the 17th time in conjunction with a three-day event at which 700 participants from around the world gathered to share the latest findings on high-strength steel. The other finalists, Facil System from Brazil, Milotek from South Africa, and Terex Cranes from Germany, were runners-up in the Swedish Steel Prize 2015. The Swedish Steel Prize was established by SSAB in 1999 to inspire and disseminate knowledge about high-strength steel and how it can be used to develop stronger, lighter and more sustainable products.